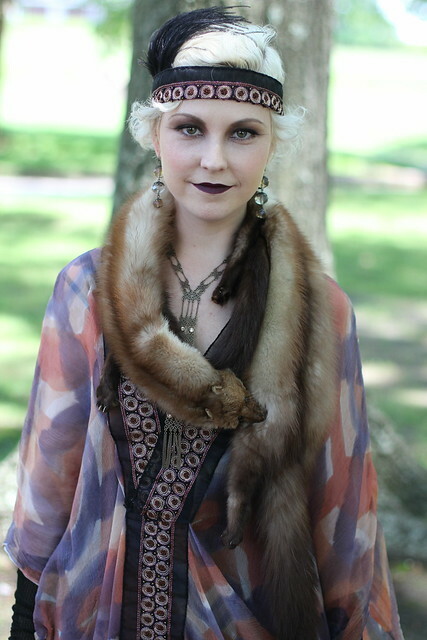 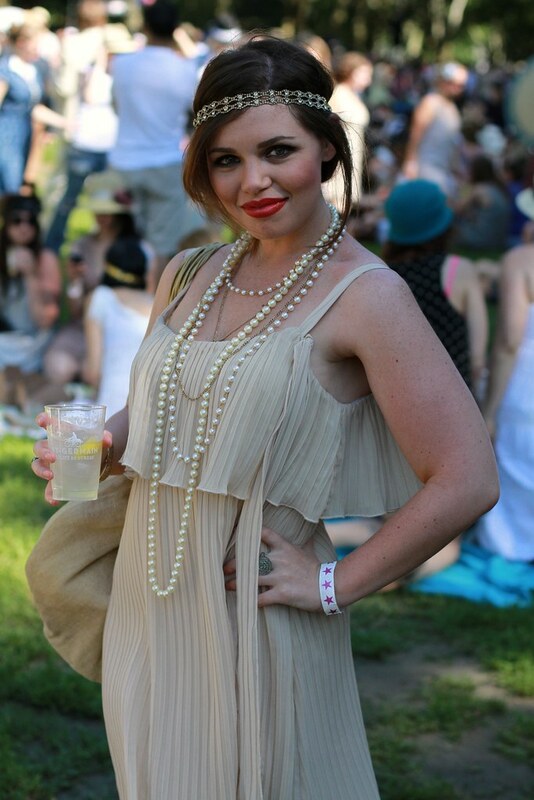 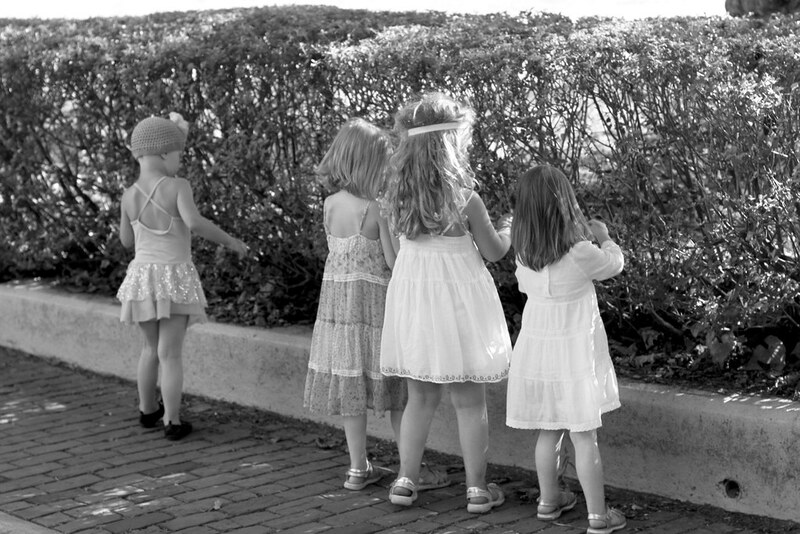 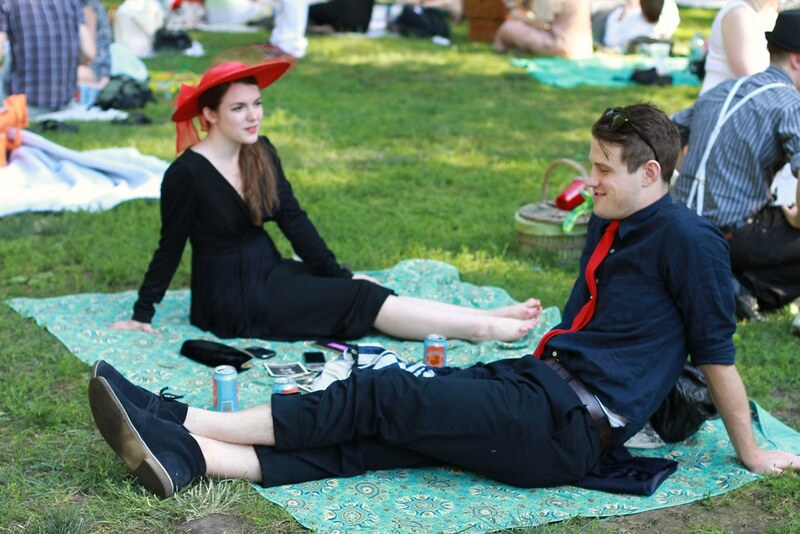 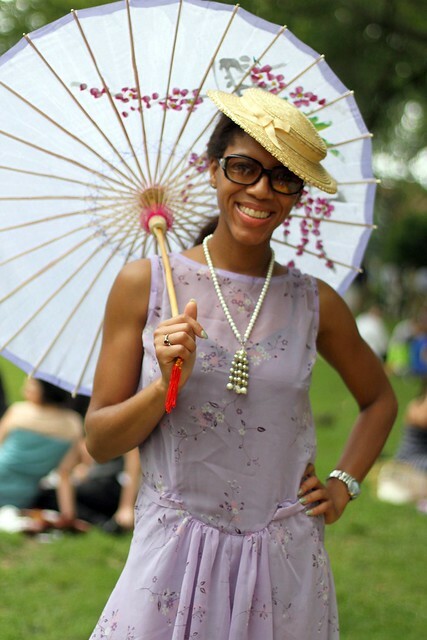 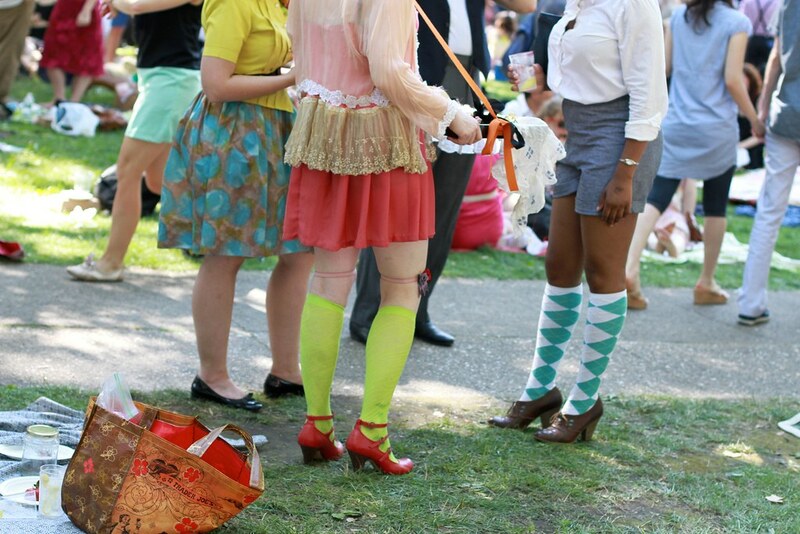 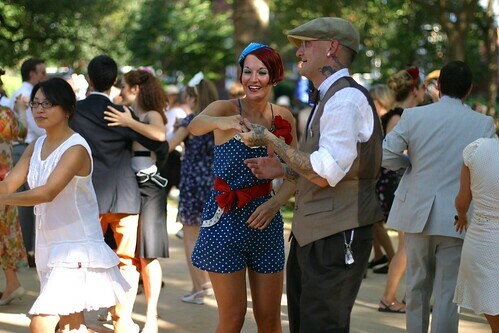 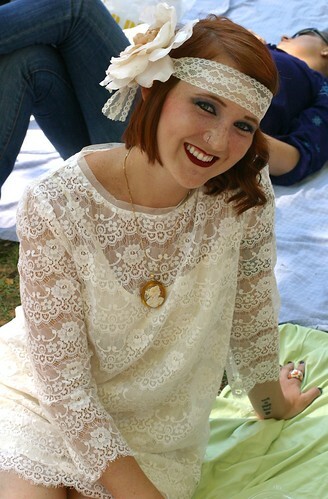 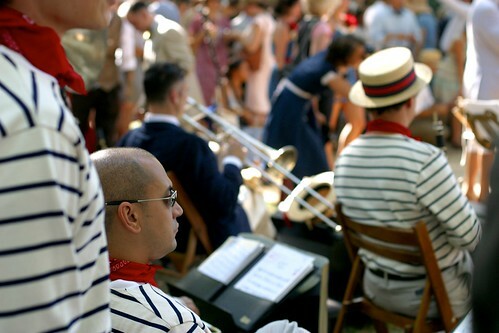 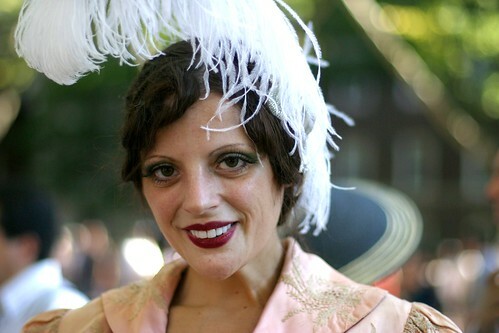 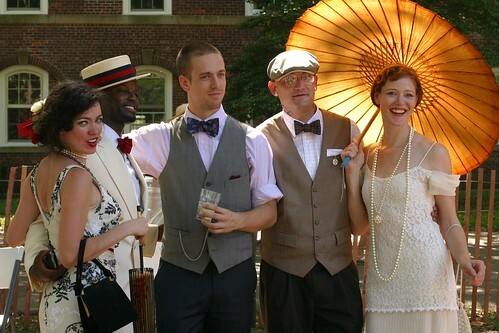 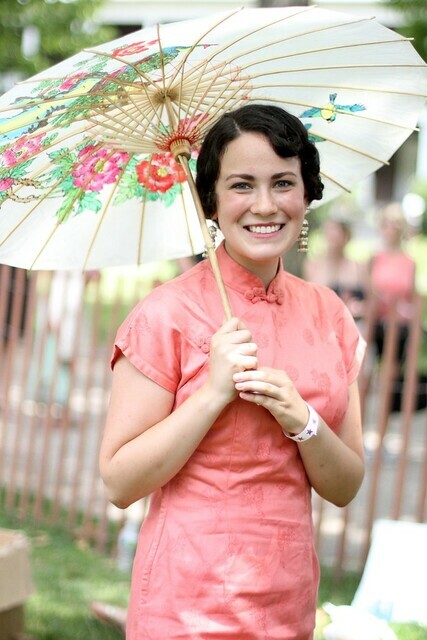 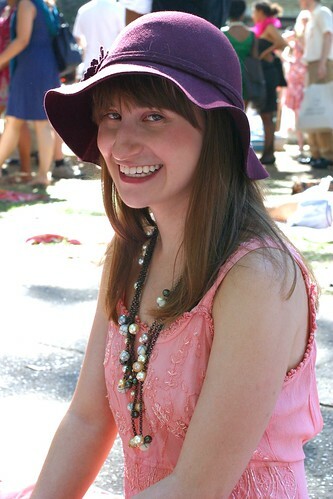 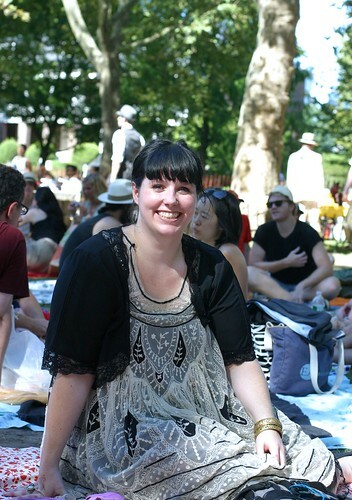 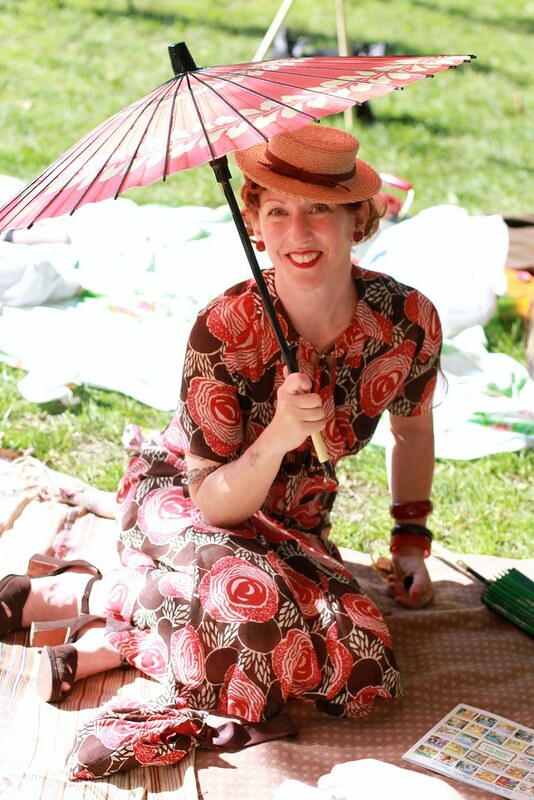 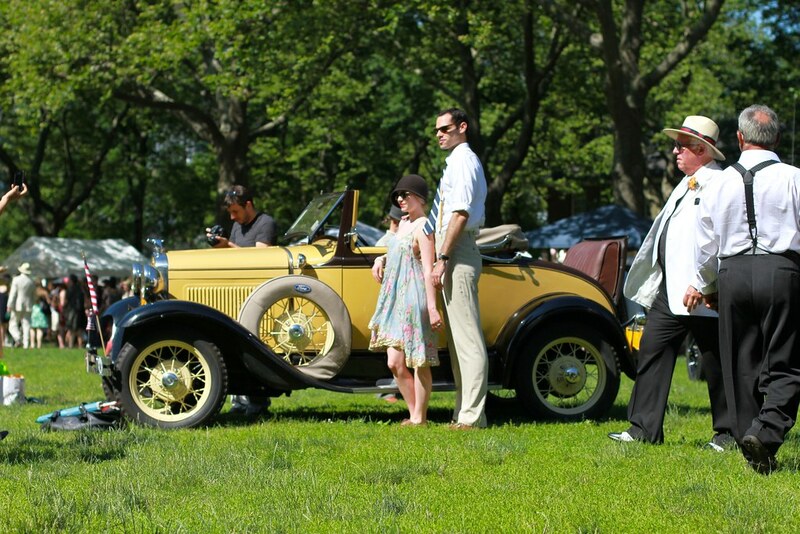 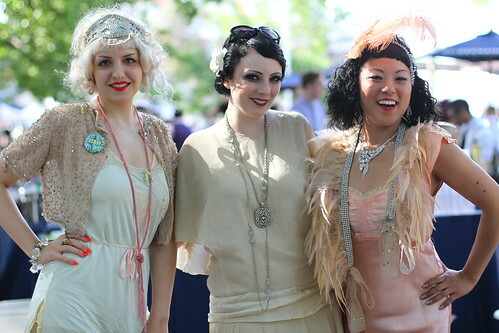 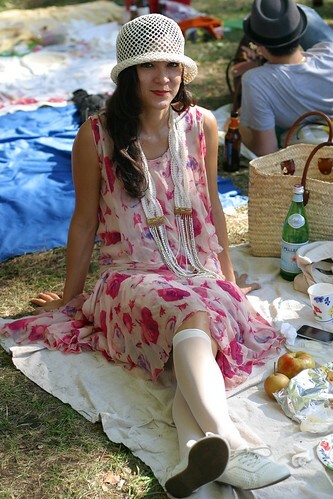 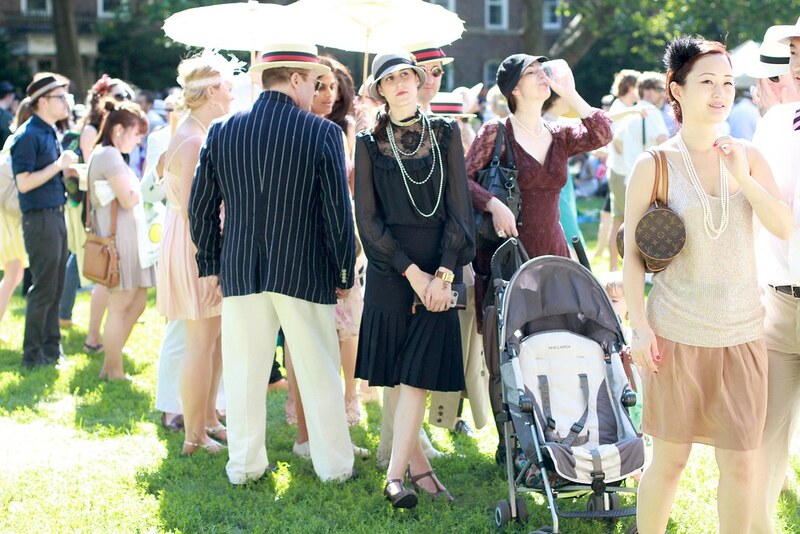 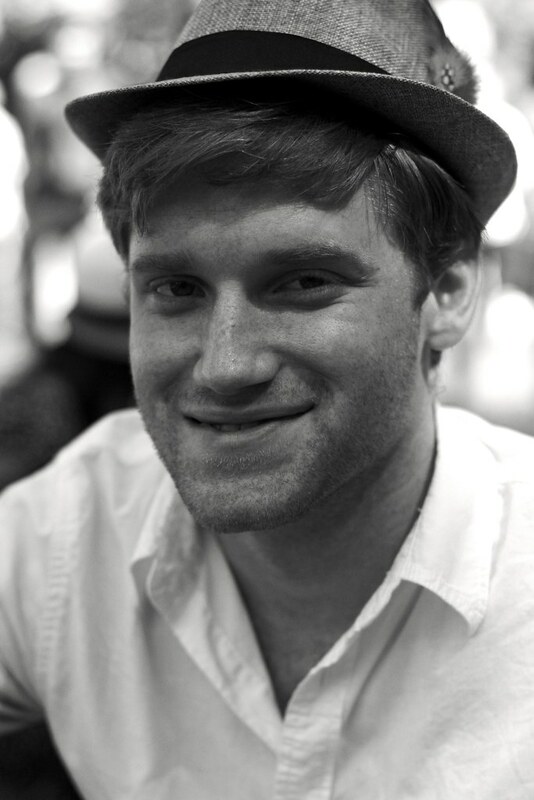 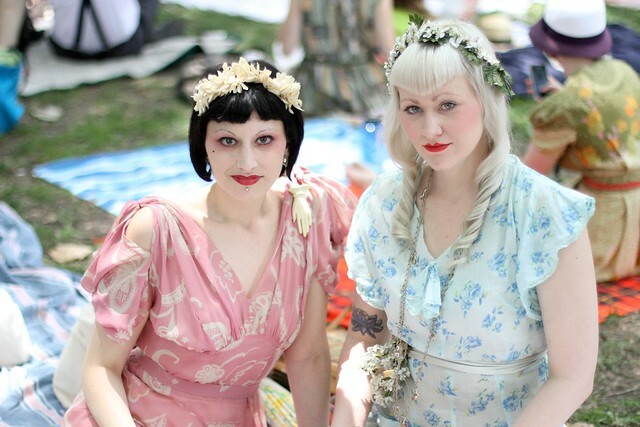 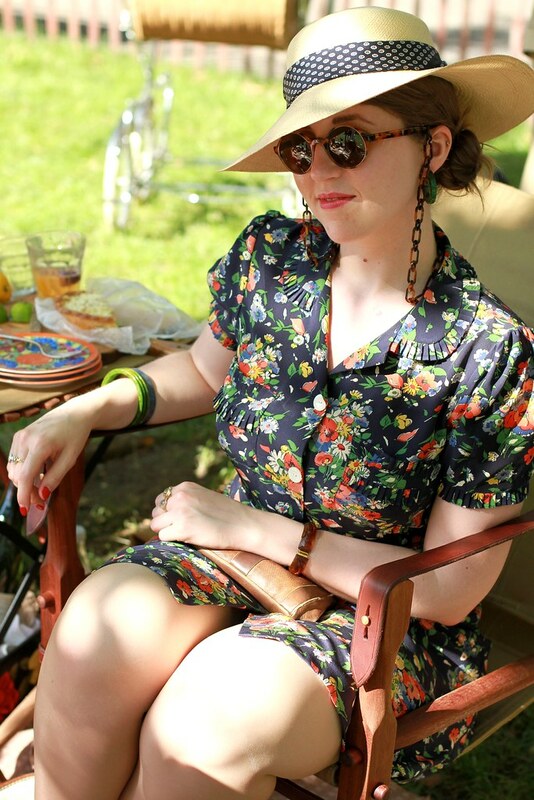 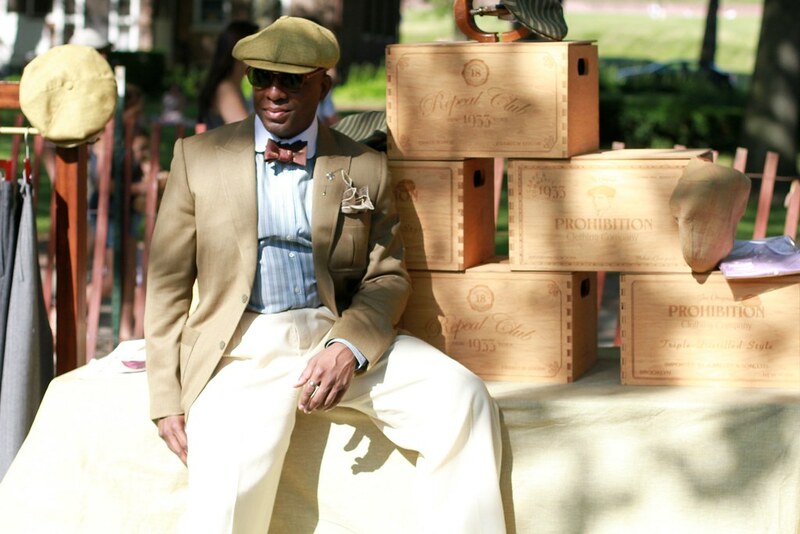 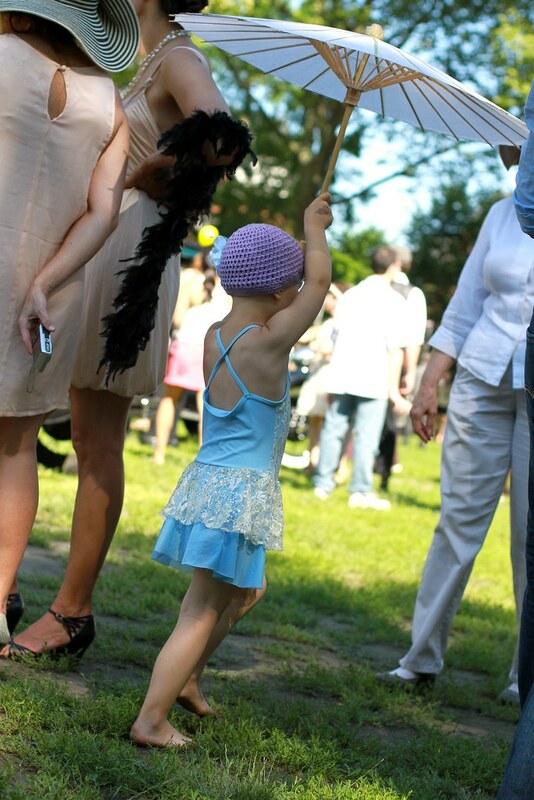 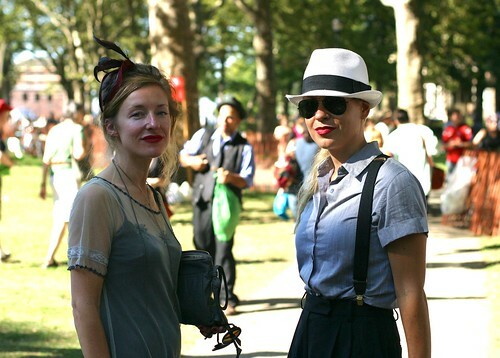 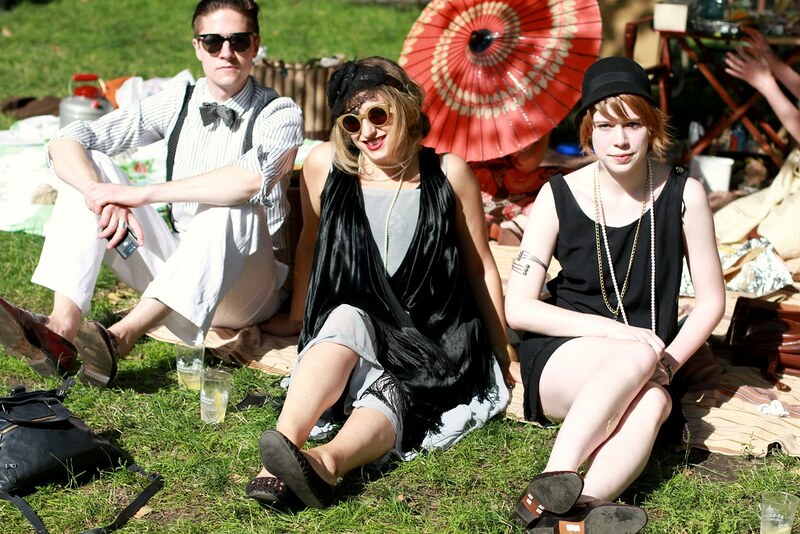 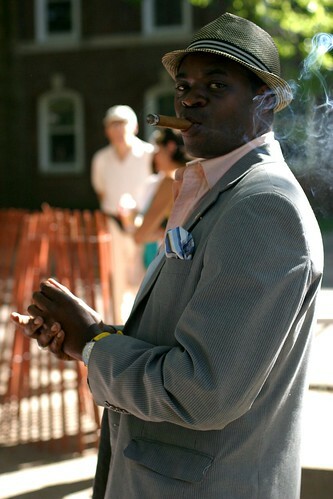 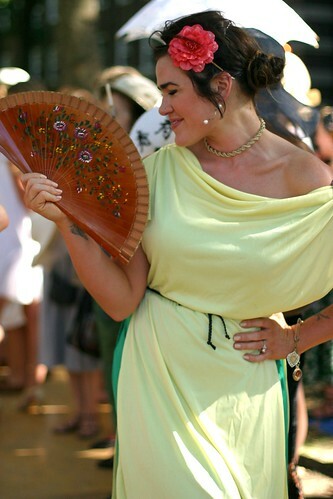 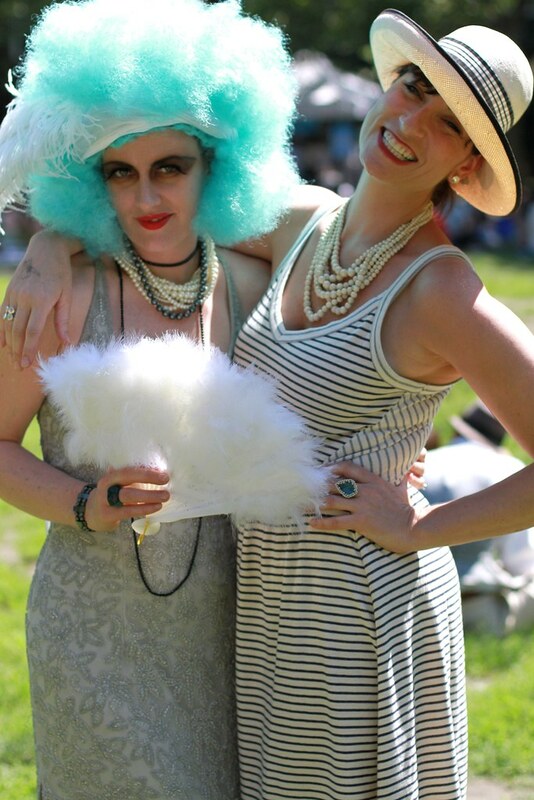 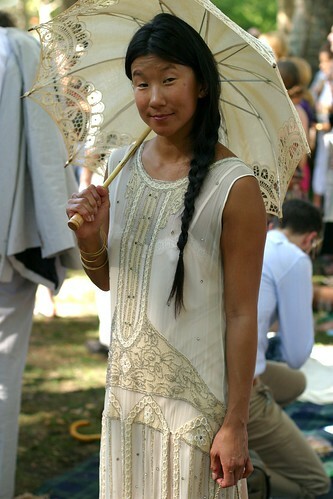 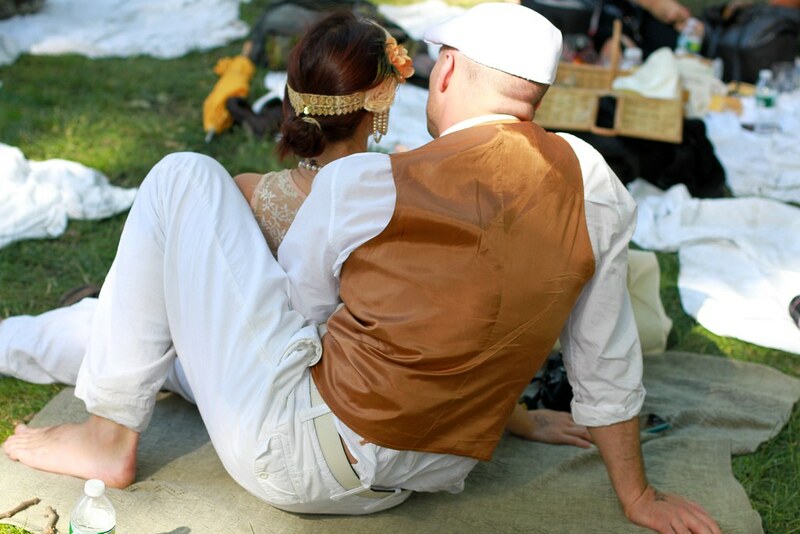 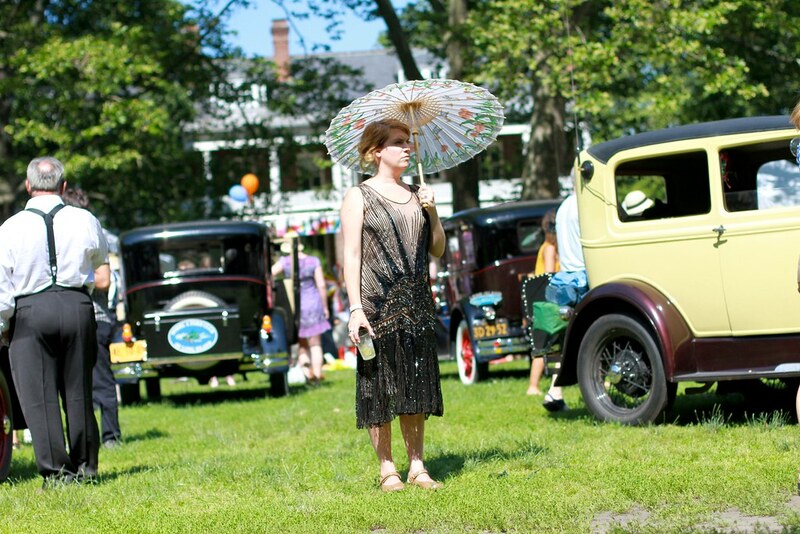 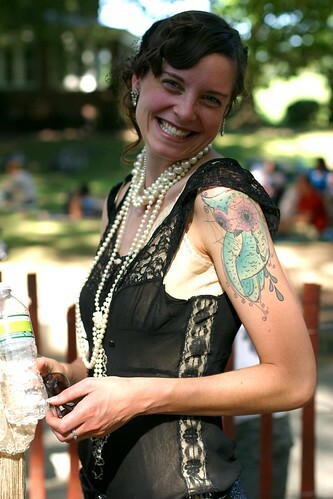 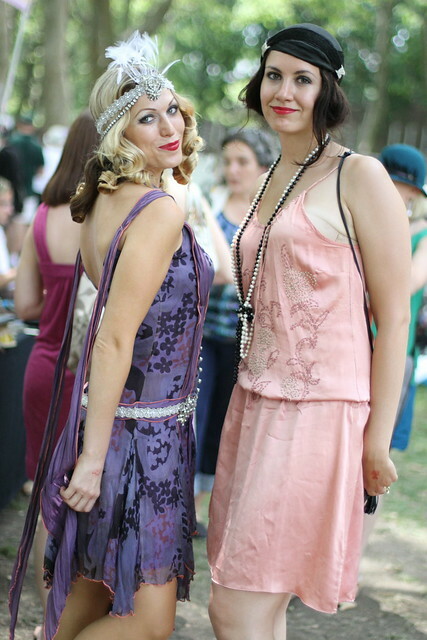 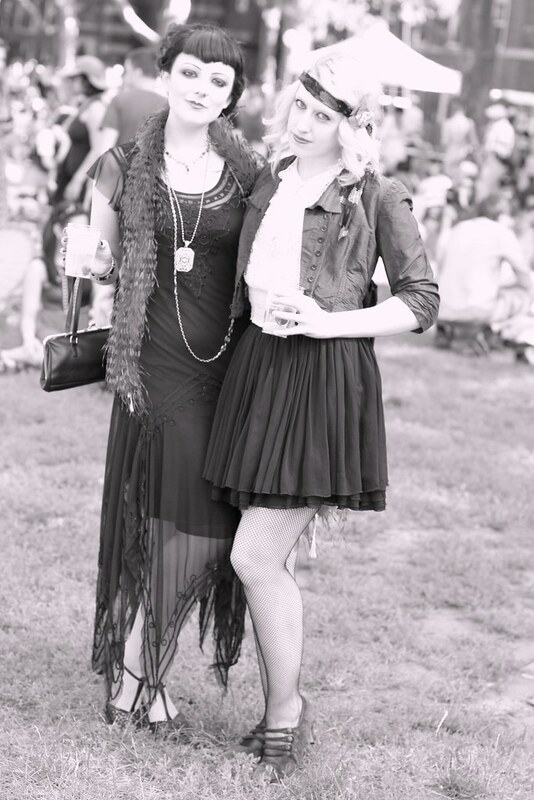 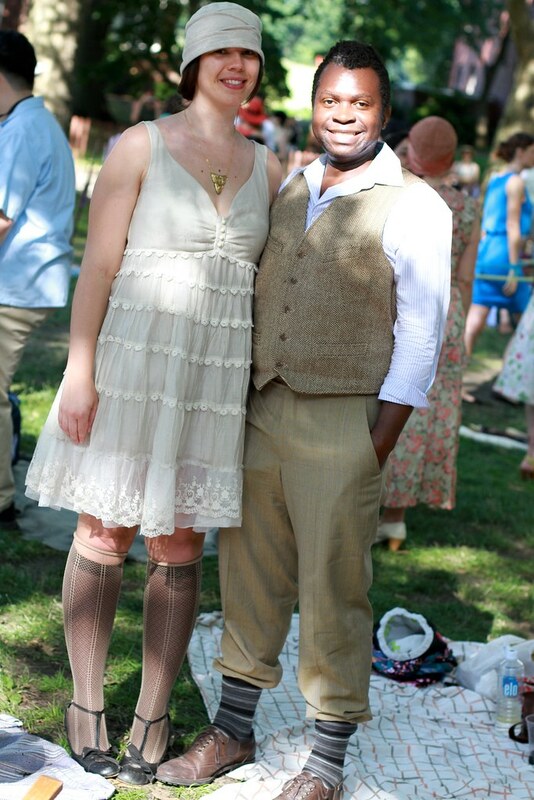 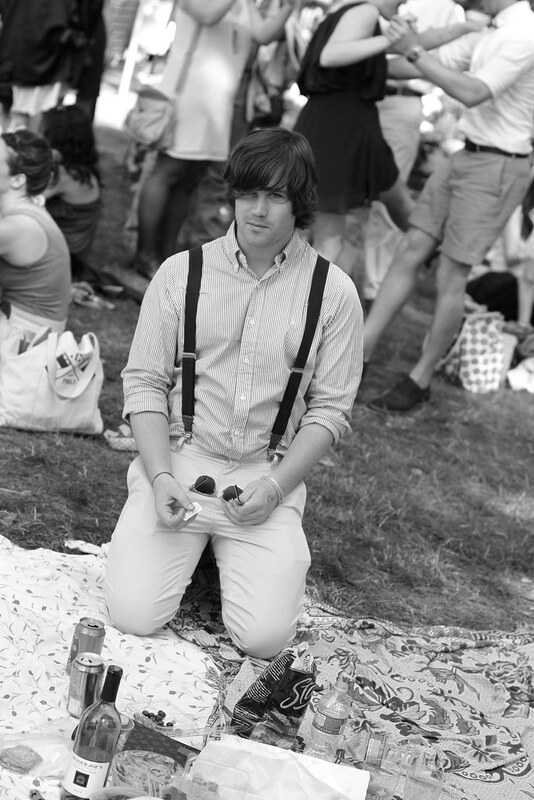 Yesterday I met up with some friends at Governor’s Island’s 5th Bi-annual Jazz Age Lawn Party. 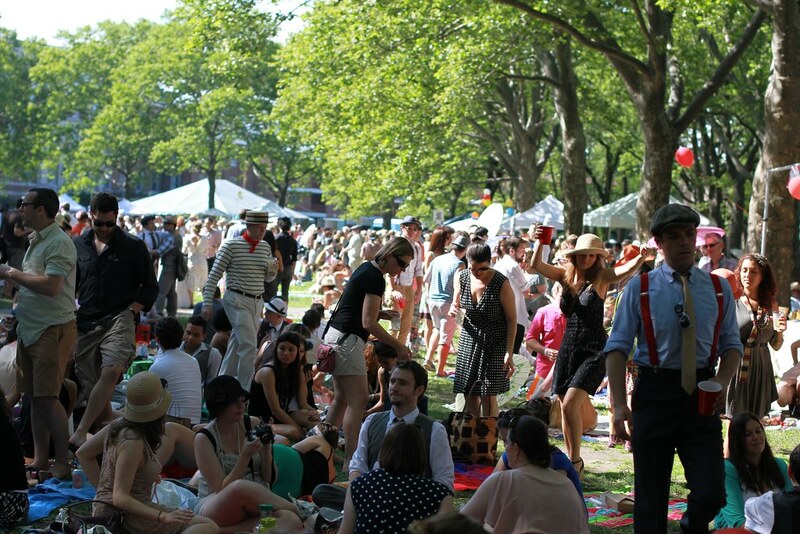 Hands down one of the coolest events I’ve been to in the nearly four years I’ve lived in NYC! 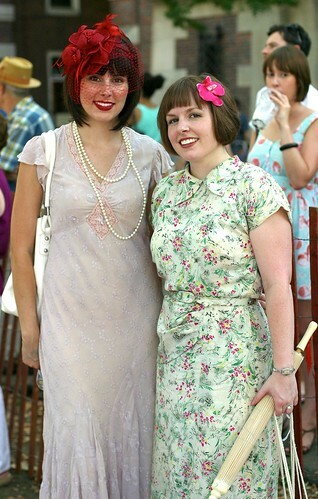 Everyone there was dressed to the nines, in gorgeous period appropriate clothing. 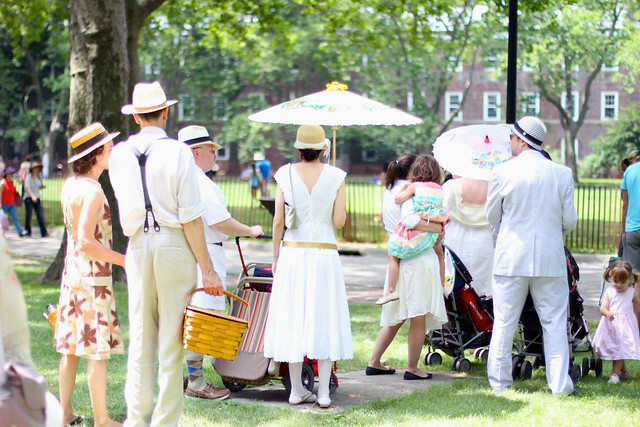 The band, Michael Arenella and His Dreamland Orchestra, was great, and there were refreshments and activities like tug of war and dancing to keep guests of all ages entertained. 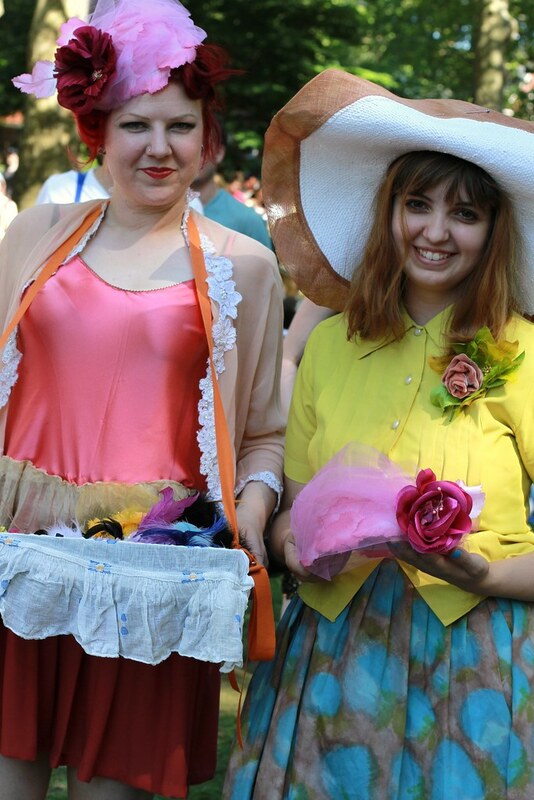 The event was so amazing, it made me regret not going sooner! 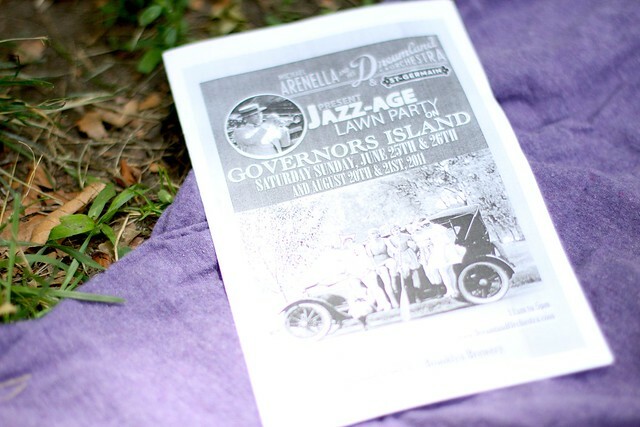 I first heard about the party a year or so ago. 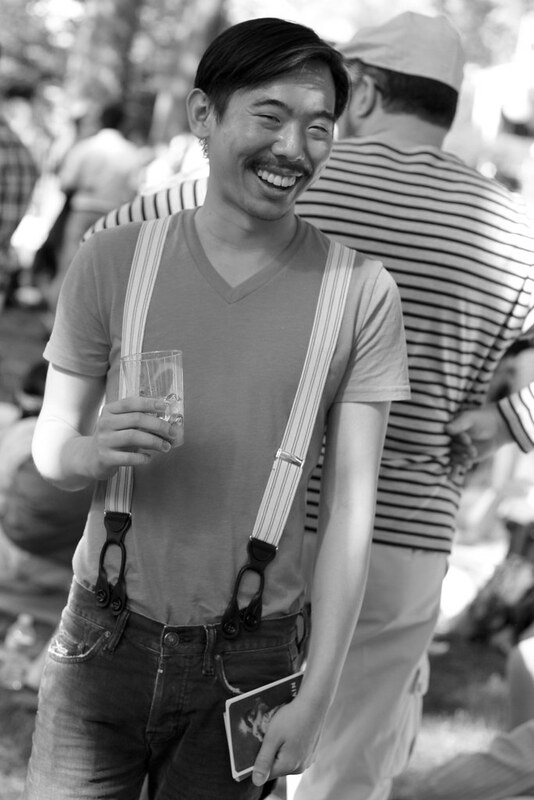 It’s always a big hit with The Sartorialist, so I can’t believe it took me so long to see it for myself. 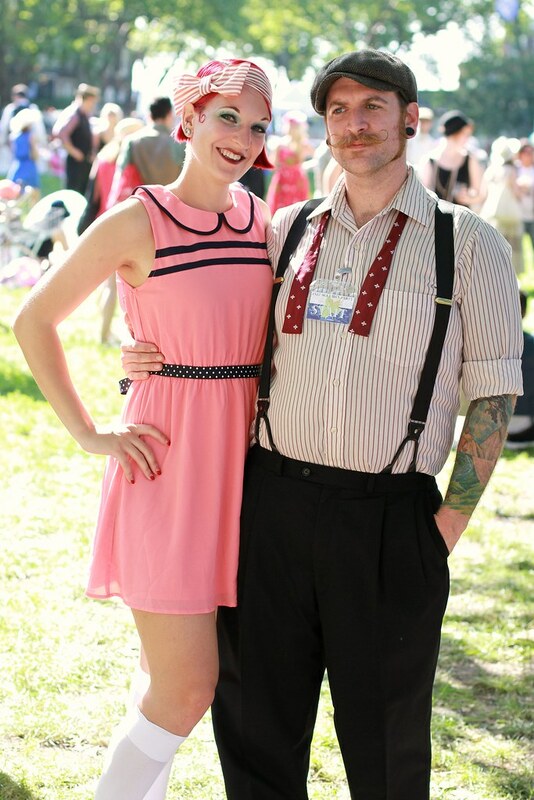 Everyone looked so good, I had a tiny bout of stage fright asking people to take their photo. 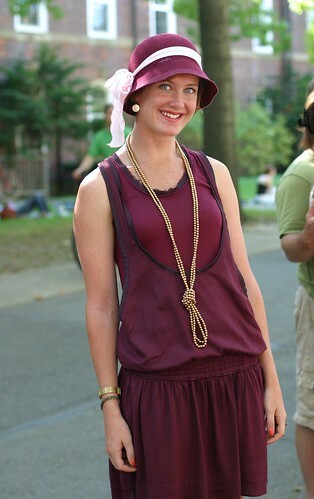 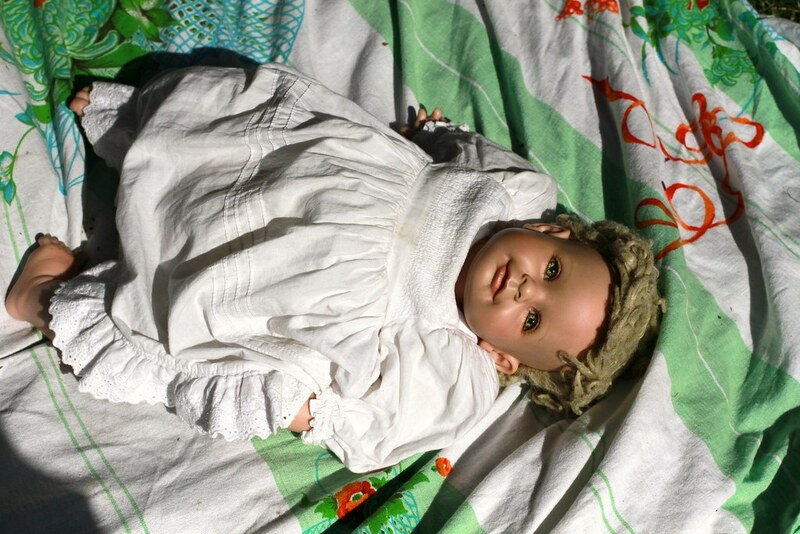 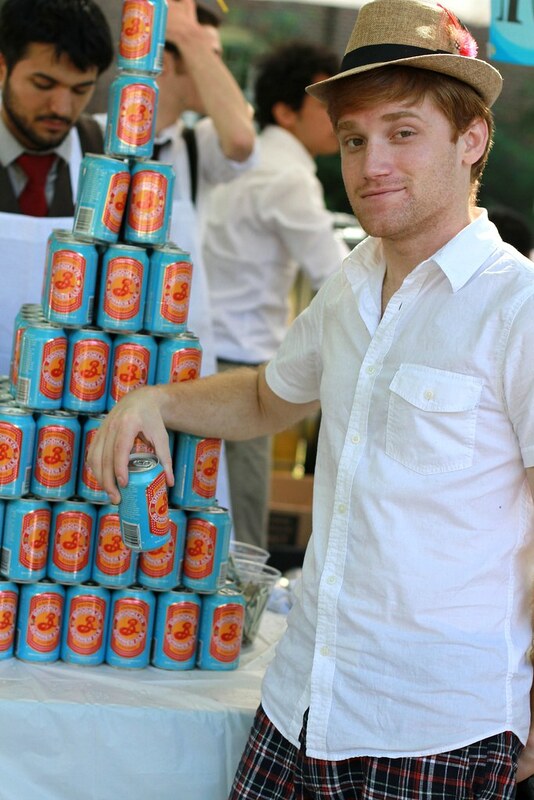 But not surprisingly, I averaged about a hundred photos an hour once I started talking to people. 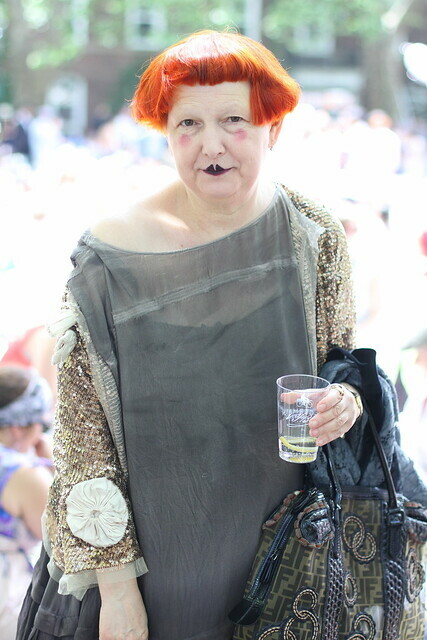 One of my favorite looks of the day. 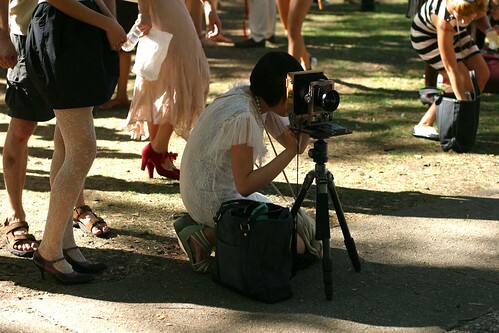 Some photographers broke out the big guns. 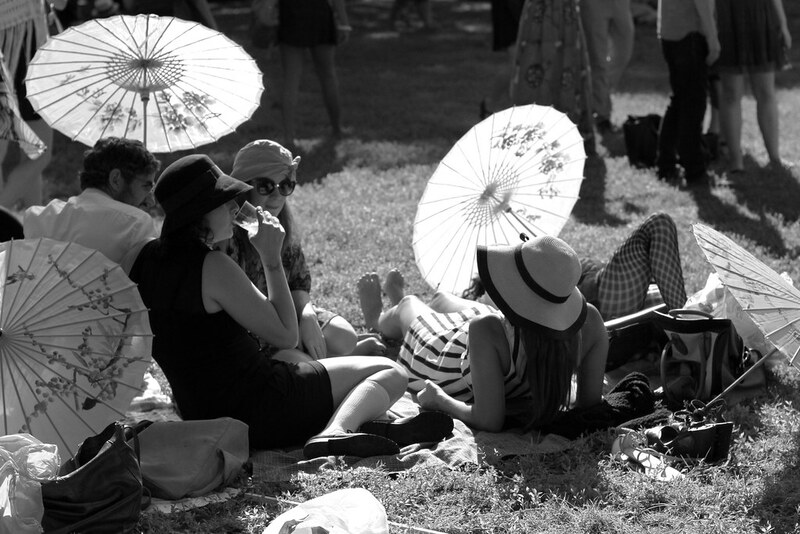 Relaxing in the shade after a delicious drink. 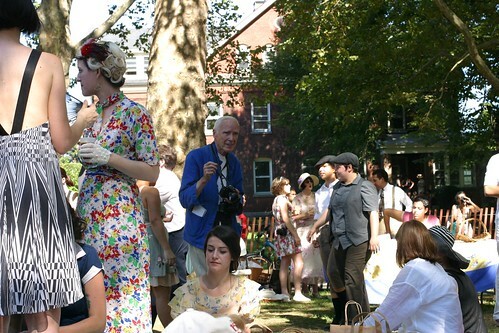 Bill Cunningham was there too! 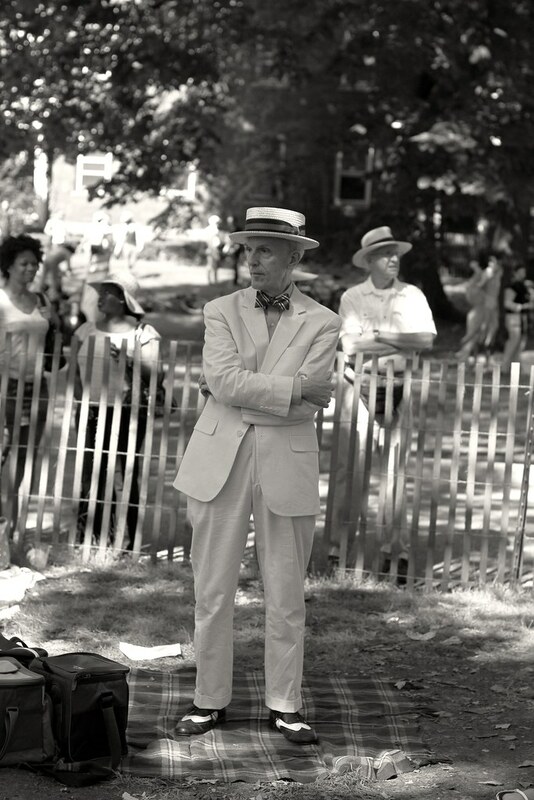 I spotted Bill quite a few times throughout the afternoon. 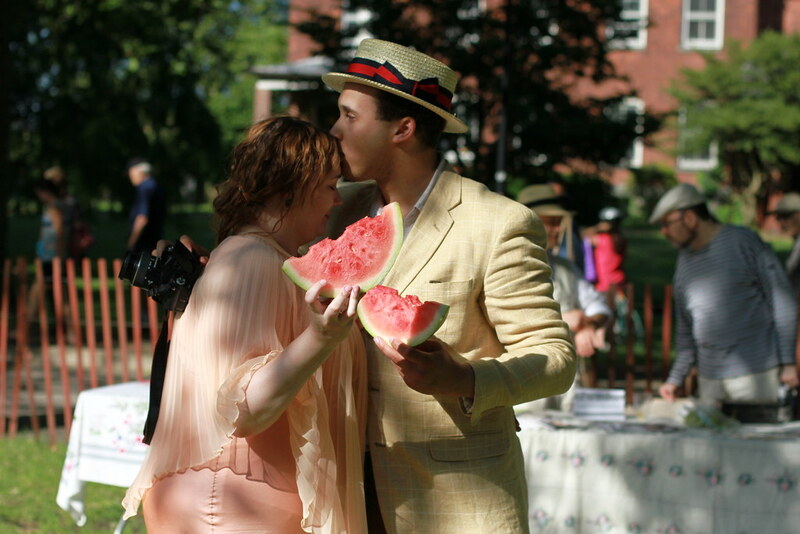 Here he is interacting with a woman setting up a croquet game. 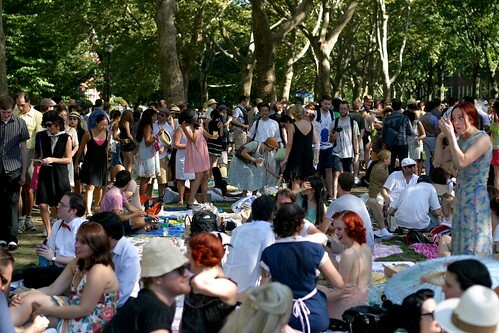 The crowd! 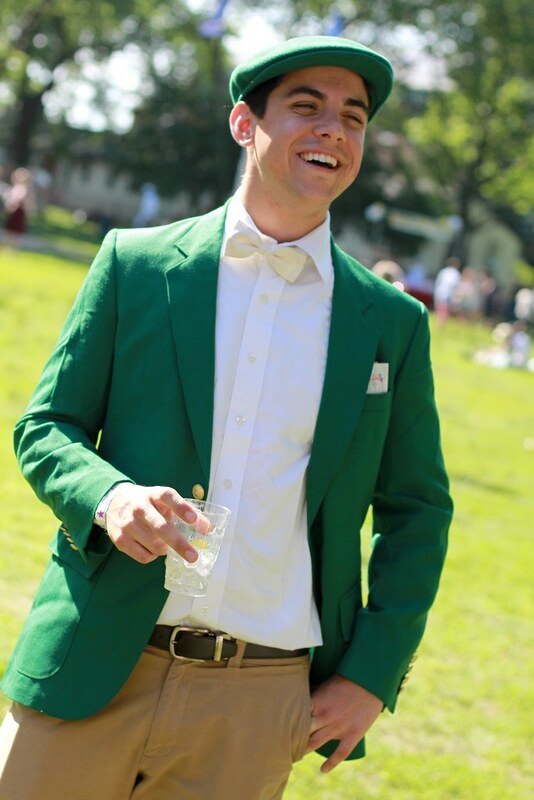 Or really about 1/3 of it. 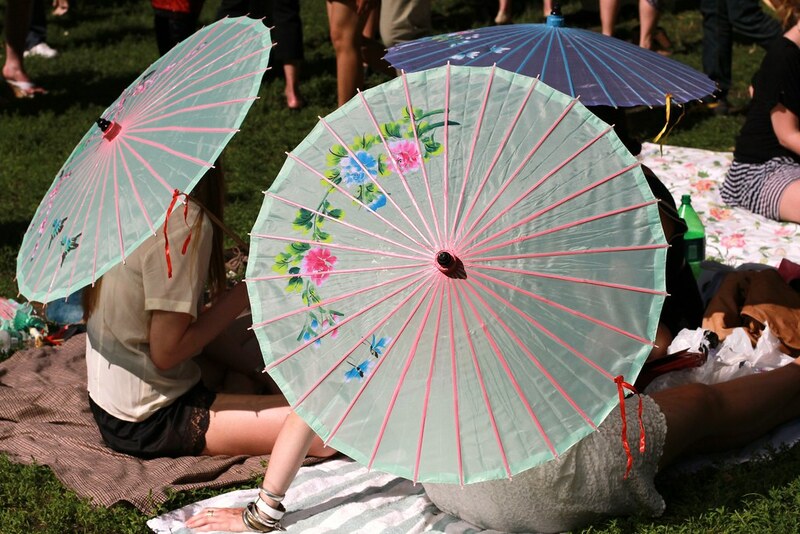 I really want a parasol now! 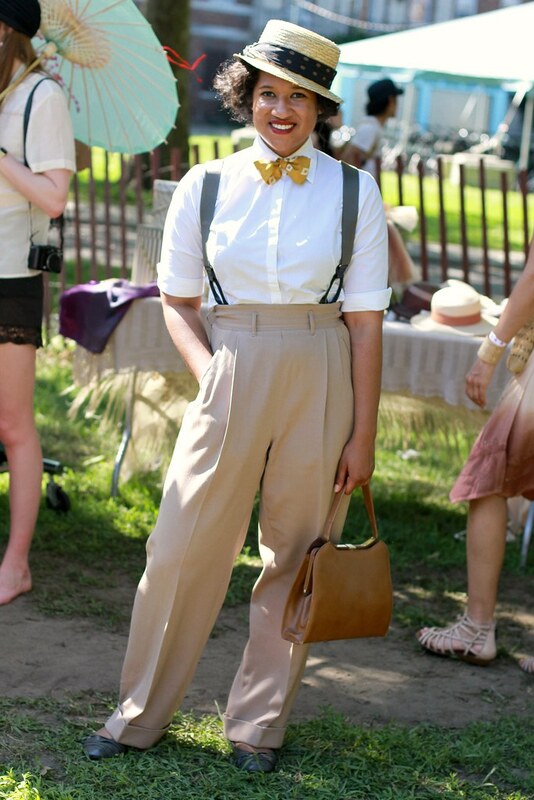 Some menswear looks were represented as well! 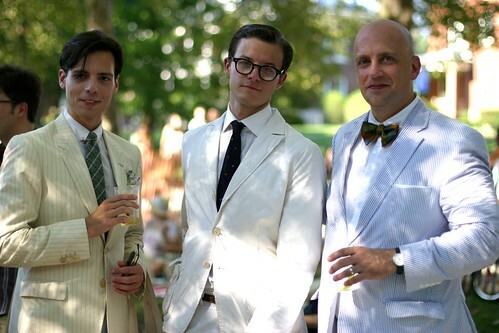 Also: men in menswear! 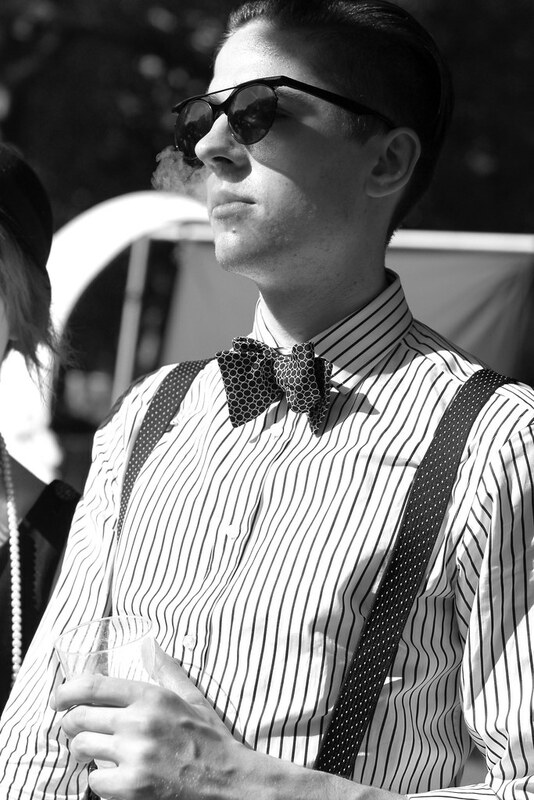 Hahah. 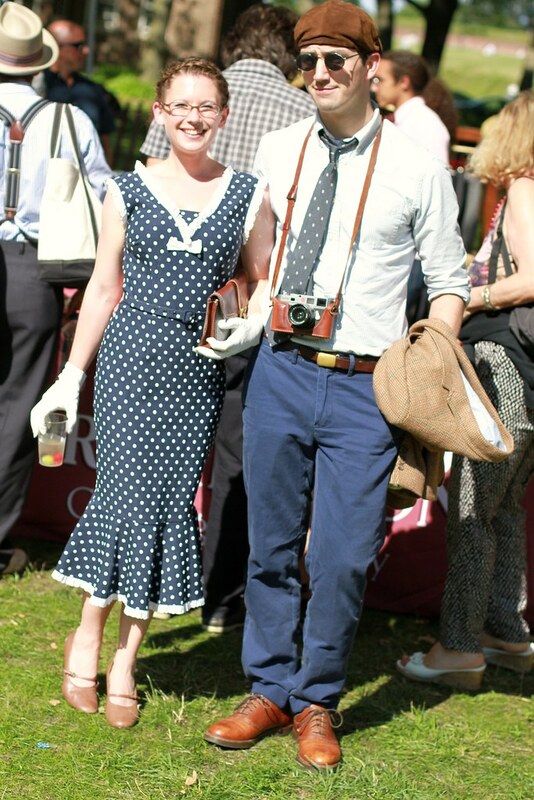 I had to hunt her down to get this photo! 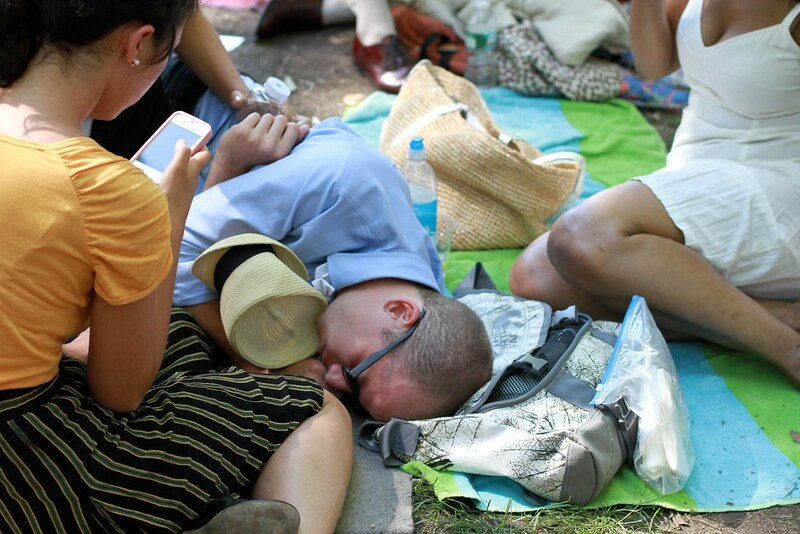 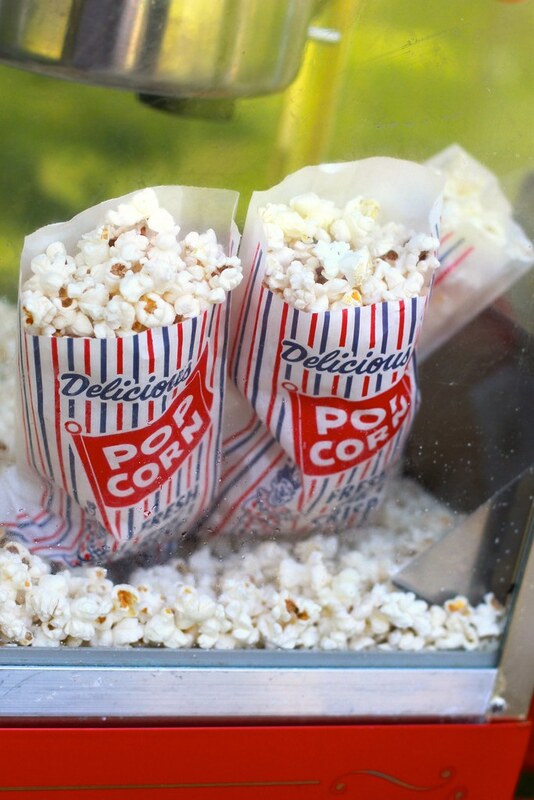 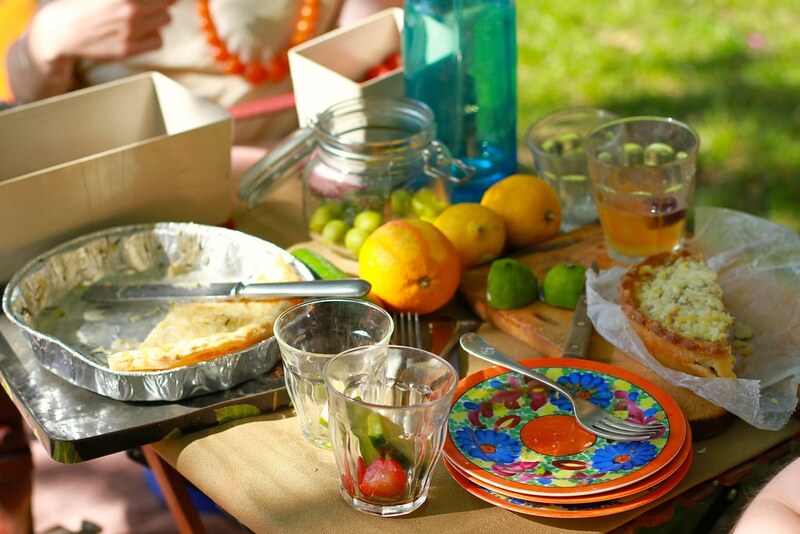 My advice: If you go next year, bring a picnic basket and a blanket. 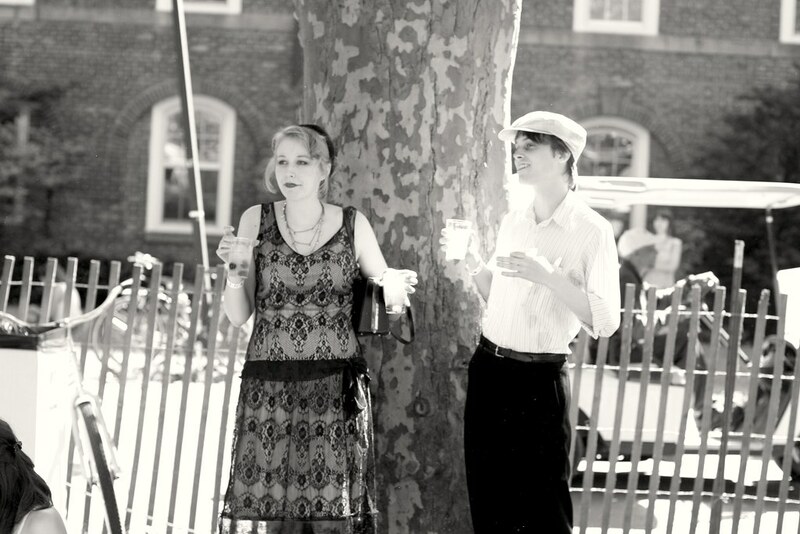 I ran out the door so fast Sunday morning, I didn’t have anything with me but a bottle of water. 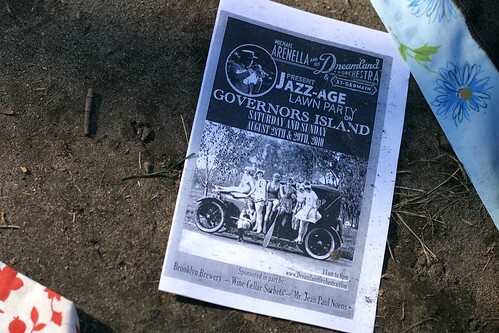 That ended up costing me quite a bit of money once I was on the island.